Hoping you might be able to send me a typical export example for me to look at. I’m with Shopping Feed, a product feed management platform, and we’d would like to start recommending your plugin to our Woocommerce, Jigo, and WP users, but would like to see the format of scheduled feed would look like. Any way you can help out? Hi Andy, no problem, I’m on a public computer right now so please send me a quick e-mail at michael@visser.com.au and I’ll send through some exports as well as put them up on our Usage document. 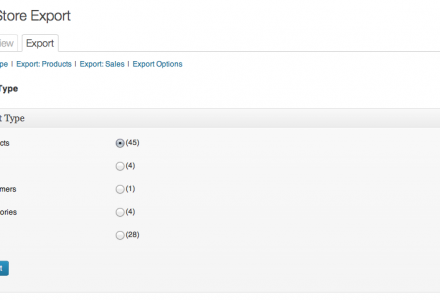 FYI, scheduled exports are the same as normal exports only all export fields are selected by default, we are introducing new scheduled export filtering options with each major Plugin update. Can this be set up to do automatic export via FTP, HTTP POST, or email? I would like to be able to export variable products, is this possible with Store Exporter or the Pro version? It just exports the lot as simple products when I use the free exporter. So I go from 145 variable products to 1100 simple products. Hi thandiinlondon, I’ll check in on this as the Product Type detector might not be working for variants. No export entries were found, please try again with different export filters. Hi Yehudah, have you updated to the latest release of Store Exporter? An update went out yesterday, if this persists shoot me an e-mail at michael@visser.com.au and I’ll follow this up. I am getting this same error can you please help! We’re a website developer company that is looking for a good plugin for exporting woocommerce order details for accounting purposes. What we haven’t been able to find in any of the plugins that we’ve looked at is a way of reporting sales of product variations. Is this anything that is possible with this plugin, or something you’re planning on adding? I have the same question… but I see you’ve been waiting for 2 weeks and no answer. Hi ortizgab, we’re here just very busy monitoring the Premium Support channels at this time so pre-sales reponses have been slower than usual. Just got the plugin and requested some asistance. 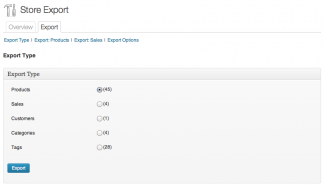 Hi Studio Matris, WooCommerce records sales of Products under the _total_sales Post meta key, I’ll confirm if this is filled for variations too, if it is we can bake it into the next minor Plugin update otherwise it will be available in our Store Reports port for WooCommerce due soon. I have bought plugin and it works great! 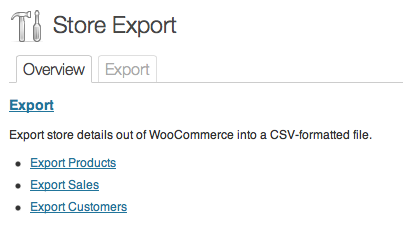 Hi gustlovina, please update to the 1.4 Plugin update for Store Exporter on WooCommerce, we’ve done testing with Spanish, Danish and Russian as a sample and it’s working great for Products, we’ll be checking this support against other datasets (e.g. Orders) and other platforms ASAP. 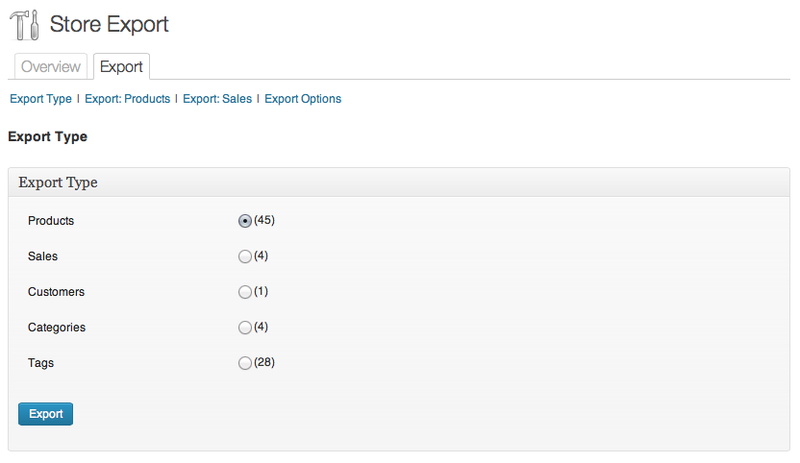 When I export orders from Jigoshop 1.7.3 it leaves Order Tax Total completely blank for each order. Anyone know how to resolve this? It exports all other fields correctly except tax.  I’m trying to export my products from a 1.6.5.2 Woocommerce installation but the only thing i get is a blank page. Any suggestions? Great plugin! 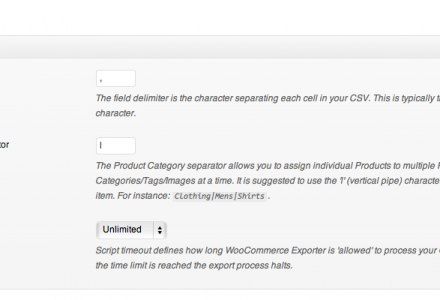 — We would love to export orders filtered by user role on our WordPress site. It would be nice to be able to just export our s2member level 3 customers instead of all. 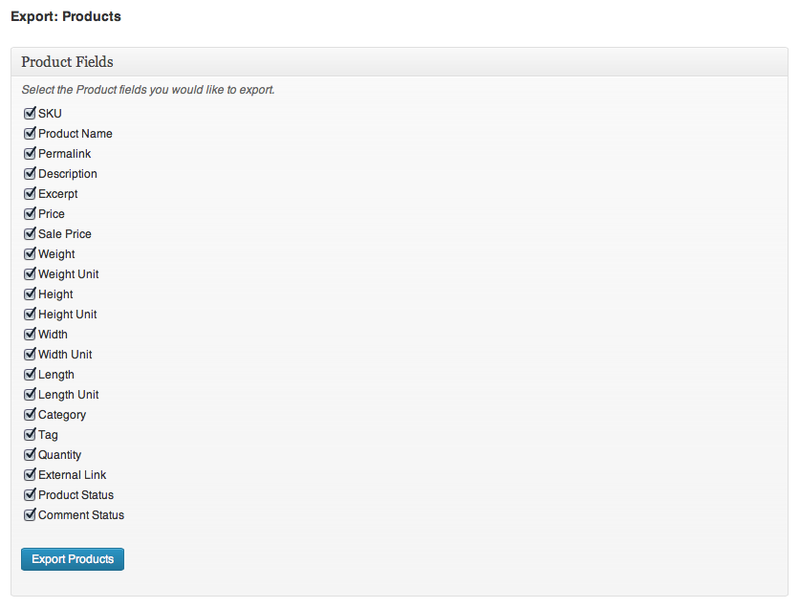 Hi dremmasdiet, we currently support filtering Orders by individual Customers (Users) but I’ll see what’s involved in adding a User Role filter option in there too! Expect it in the next minor Plugin update! If you really do implement that feature, I will be eternally grateful! Thank you very much! Does this actually work? I tried the free version but just get a blank page when trying to export orders. I got it working. Do I need to have the basic AND the Pro plugin installed at the same time? – Tax (separated in tax groups), so 0%, 6%, 21% etc. Does this plugin support this export information? Hi Secure Design, our exporter handles Gateway used and Total Tax, Total Tax is the raw amount stored in the database which is empty for Orders where tax is inclusive (raw database value), next Plugin update we’ll bake in those fields you’re after. Keep an eye out for the next announcement. Can you give me any prediction about the launch date of this new plugin version containing this functionality? Then we will buy your product. Hi Secure Design, what platform are you using? WooCommerce, Jigoshop or WP e-Commerce. I’ve been working on tax support this morning for Jigoshop but will switch to WooCommerce if required. We use WooCommerce. We are really looking forward to it! Good to hear that you are working on it! When may we expect the new release? Hi Gian, what version of WP e-Commerce are you using, you should be finding Store Export under Products > Store Export within the WordPress Administration. 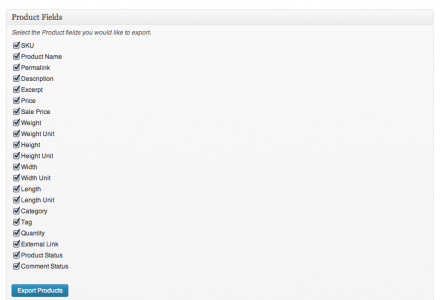 When i try to export products i get a server error message!! The website encountered an error while retrieving http://www.onestopdive.com/wp-admin/admin.php?page=woo_ce&tab=export. It may be down for maintenance or configured incorrectly. Works find for exporting tags or categories just not products.. any idea how to fix ?? Hi Daniel, sounds like you’ve hit a memory limit or more likely server timeout. 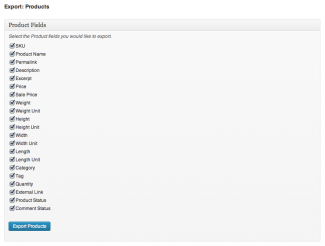 We don’t offer direct support for the free release so can follow up this via the Support Forum. Hi Michael, i think your right, managed to get it working but only by doing one category at a time. Hi Cindy, thanks for bringing that to my attention. There’s a major Plugin update going out in the next few hours to address this and add additional functionality. Still no good to export to price comparison websites. Hi Barry, thanks for confirming that. I’ve added Image support to the WP e-Commerce release prior and have now added Featured Image support to Products (see 1.2.5 release today), in a future Plugin update I’ll add Product Gallery (multiple Products images) support. Just brilliant. Made my day, thanks peeps.